It should be pointed out that this article sets forth the exclusively personal point of view of its author. Despite the similarities in the UI, SmartEdit is not built with Cockpit NG Backoffice Framework. The Cockpit NG is intensively developed by SAP to use for data management applications in SAP hybris. For example, this framework is used as a foundation for all new cockpits, such as PCM Backoffice for products or Adaptive Search for Search and Navigation Module. SmartEdit doesn’t use it at all. The old WCMS Cockpit was built with a legacy cockpit framework called Cockpit Framework. I’d say that every developer hates extending old cockpits because the framework is incredibly unfriendly to developers. Many components of the existing cockpits are not extendable, and it is always a challenge to add new features to cockpits if they are not in the narrow area of possible options. 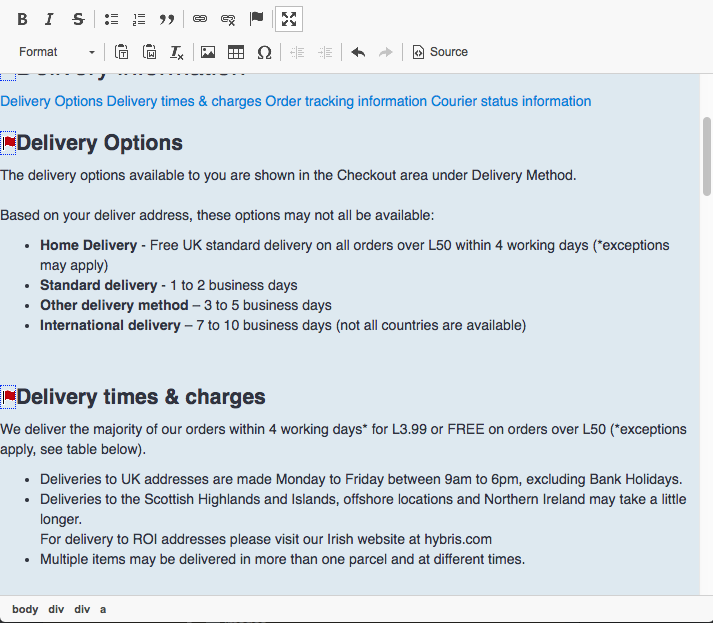 SmartEdit interacts with the database and hybris API via AJAX calls. On the hybris side, there are customizable modules, such as cmswebservices for this purpose. For example, to show the list of CMS pages, SmartEdit makes a call to /cmswebservices/v1/sites/electronics/cmsitems. Almost all operations are handled by webservices. If you want to support both SmartEdit and WCMS Cockpit, you likely need to multiply your development efforts by two. There is a lot you need to do specifically for SmartEdit in addition to you generally do for WCMS Cockpit. For example, some components (such as Product Carousel Component) need to have an access to Product Catalog. It makes necessary to provide the e-commerce data to SmartEdit via webservices to let Smartedit components be configurable. It means that if you customize any e-commerce components, you will need to extend the default set of webservices just for Smartedit as well as define or modify the code for the components where these data are used. AngularJS and Java developers are commonly from different worlds. So if you decide to go with SmartEdit, you will need to get both roles involved even for smallest changes. The current implementation of SmartEdit is not very stable but it is getting better with every version. So the flip side of having a fancy UI for content management, you need to take into account that the maintenance costs will be definitely higher. Thus, currently, SAP hybris has three different frameworks for backoffice applications, Cockpit Framework, Backoffice Cockpit Framework and SmartEdit. In hybris 6.7, the majority of the features commonly used for content management are supported by SmartEdit. These features are implemented even in a better way that we have in the old WCMS Cockpit. Some features are introduced only for SmartEdit. Unfortunately, they may not have a counterpart in old WCMS Cockpit. To provide this service to a customer you need to support both systems, WCMS and SmartEdit, or admit that such features as “component cloning”, won’t be delivered with the solution at all. If you make any changes in the default data models or functionality, SmartEdit will be probably broken because there is a dependency. So you need to keep the eye on many things if you decide to support SmartEdit. It is not on by default. In WCMS Cockpit, the administrators are able to create a new website and content catalog directly from WCMS Cockpit. I think that it is extremely dangerous operation and should be off for all projects to keep data in safe. In SmartEdit it is not possible. You can manage only existing websites and catalogs. Creating a website and content catalog 🚫 No. ✓ Yes, but basic. 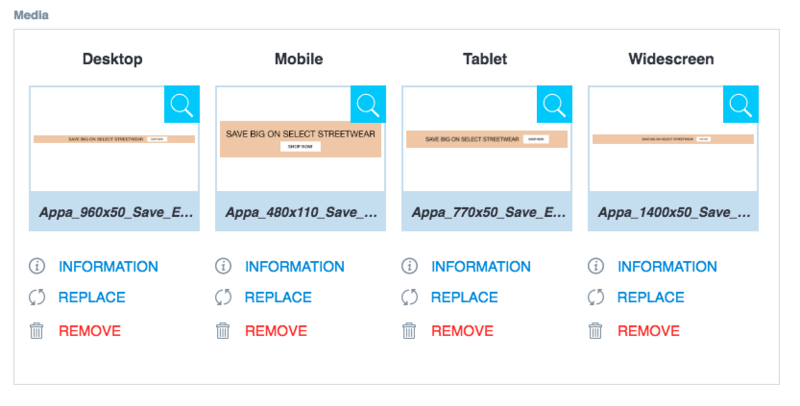 Smartedit doesn’t work with the created website/catalog OOTB. It creates invalid configuration to use with SE. Removing the website or content catalog 🚫 No 🚫 No, you need to use Backoffice or HMC, but it is a very complex operation. Like in WCMS Cockpit, in SmartEdit the list of pages is plain, not hierarchical. Search works only with page ids and page names. If you need to find a page having a particular URL, you will need to open all pages one by one or guess the page name. Search is faster in SmartEdit. There is no way to filter pages by type or other attributes. The removed page in WCMS is not reversible. In SmartEdit you can restore the removed page. The SEO attributes, such as description and keywords weren’t added to the page edit panel. The panel itself is partly dynamic: many changes on the server side require making changes in the code for SmartEdit. In WCMS you don’t need to touch the codebase or configuration in the most cases, everything is completely automatic. The page can be cloned in SmartEdit, it is a great feature. Unfortunately, SAP hasn’t implemented it for CMS Cockpit. 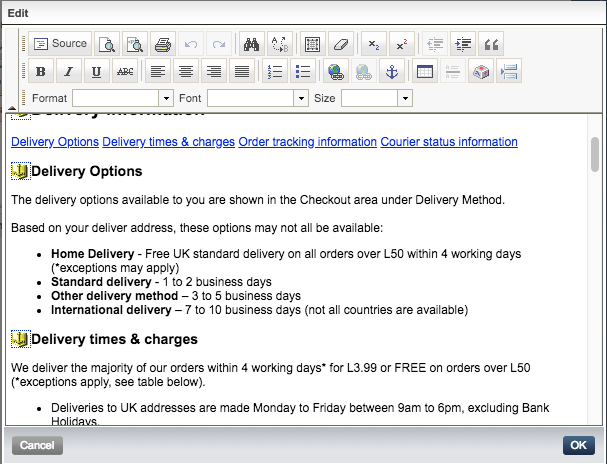 The page template is not editable. The concept of components and page slots is the same as in old WCMS cockpit. In SmartEdit, you can drag the components to a new position on the page. In a similar manner, you can add new components from the library and group components in slots. The is an issue on how this drag-and-drop is implemented. Sometimes, after you drop the component to a new position, SmartEdit doesn’t move it at all with no errors or warnings. Adding a component to a slot on the page ✓ Yes, drag-n-drop from the component library ✓ Yes, by choosing from the list. This text is stored in property files, so you need to redeploy the system to have it changed if the needs arise. Both in SmartEdit and WCMS Cockpit, media management is implemented in a terrible way. In WCMS cockpit, when you want to change a banner image, you need to understand the difference between changing the image of a media object, changing a media object of a container and changing a media container. WCMS Cockpit doesn’t support SVG preview. Large images are not displayed nicely too. Understanding of the concept of media formats and its mapping with storefront entities and modes is often too hard for content managers. In SmartEdit, SAP oversimplified things. Now you can upload the image instead of one already uploaded only. There is no way to pick the image from the library or re-use the image uploaded before. The REPLACE link opens an image upload pop-up. The access control is derived from hybris Platform. There is almost nothing added by Smartedit on top of what we had before. The FlexibleSearch restrictions don’t help much: the webservices turn them off for some operations. Permission management ✓ Yes, with issues. Implemented differently than WCMS. For example, you can revoke the permission of catalog sync for the user group. It will work in CMS Cockpit, but not in Smartedit (respect sync permissions only is not in play). ✓ Yes, with issues. Both in SmartEdit and WCMS, you can define the navigation structure that is used to set up the links that will be exposed in navigation components, such as the category navigation component, the footer navigation component, and the account navigation component. Each item of this structure can be linked to a hybris page, media or external URL. It was the most interesting feature for me. The legacy personalization module (BTG) is so slow that seemingly nobody uses it on the traffic-intensive websites. SmartEdit Personalization seemed like a fresh wind of hope. How does it work? In SmartEdit personalization, you can select the components to be changed if/when the user is put into one of the predefined segments or their combination. For example, the banner will be replaced to another once the system realizes that they are from the group with customers from a particular city. In BTG, legacy personalization engine, the customer is assigned to a segment automatically on the fly, once the website session, user data or database state meet some criteria. In new SmartEdit Personalization, this mechanism is built outside hybris, it is part of Hybris Profile, or need to be custom built. Out of the box, SAP Hybris does not provide any concrete integration to any other external system but it gives the opportunity for the custom implementations to do so. It is very similar to how product recommendations work in hybris: no smart mechanisms at all, just a framework and a set of design templates. So, in order to update the information about user segments (what users belong to what segments) you need to create a custom provider (UserSegmentsProvider) or your own implementation of the user segment strategy (UpdateUserSegmentStrategy). It means that without Hybris Profile the personalization module is not ready to be user from the day 0. It is just a template for a full-scale solution. This mechanism is used in SAP hybris Profile integration. As part of personalizationyprofile module, there is an implementation of the user segments provider, ConsumptionLayerUserSegmentsProvider, which gets the data from Hybris Profile and maps it to segments. It is used by DefaultCxUpdateUserSegmentStrategy to collect the user segments. SmartEdit uses CKEditor 4.5.7, one of the best embeddable editor software on the market. The similar package is used by Backoffice. Old cockpits, such as WCMS Cockpit or Product Cockpit, use the outdated version, 2.6.1. Both editors are not capable to upload an image. The picture icon in the SmartEdit’s is just to insert a link to the image with the known URL. Text beautifiers: The tools like http://www.typograf.ru/ is widely used for Russian texts, for example. There are solutions for English too. I received a great comment from the Project Manager for SmartEdit, Olga Haurylchyk, SAP, and decided to move it from the comment area closer to the article. “Thank you, Rauf, for a very insightful review of SmartEdit, we appreciate the interest to our product and the feedback. It gives us a good perspective of what is important for our customers and partners. We are taking into account some of the pain points you brought up and in our roadmap and consider some of the points for future improvement. As we’re now pinning down what will be in the 1811 release we feel now is a good time to go through what has changed, and what will change. SmartEdit is the new area of investment for Customer Experience, which means that no new features will be developed in WCMS cockpit. As rightfully mentioned some of the new features have been greatly improved in SmartEdit, and they will not be updated in WCMS as the WCMS cockpit will be deprecated in 1811 release. Some of the functionalities like creating new catalogs, will not be implemented in SmartEdit, because they are more administrative tasks by nature and are expected to be managed in Backoffice. Further, I will mainly focus on potential gaps that SmartEdit has and our plans to improve them. One of the known pain points for our customers is the Pages View management, due to the limited capabilities of page management. In one of the upcoming releases, we plan to improve this view and enable Smartedit users to search, filter, and sort pages using different page attributes and also improve how page relationship is displayed (between primary and variation pages). Page templates are currently static in both WCMS and SmartEdit, they can be managed/edited in Backoffice. Converting shared slot to non-shared slots allows some flexibility around page layout management and it is available in both WCMS and SmartEdit but does not allow to define page layout on the fly. We plan on enabling Content Manager to support dynamic page layouts that can be changed at a runtime in the near future with our new PWA storefront. 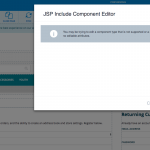 Content Manager will be able to decide how the page slot would look like and how many components it could display. We also consider adding SEO attributes to page types available out of the box. However extending a page type with custom attributes should be fairly easy using 6.4 or later version, where cms items (like a page) were supported generically. There are many types of restrictions available OOTB. We have thoroughly selected only a handful of most used ones to support in SmartEdit. Our research showed that most of the time customers do not use restriction types available OOTB, but rather add custom restrictions that better fit their business model. Adding new restriction type is a fairly easy task, due to the generic support for cms items. Implementation partners need to add support only to attributes that SmartEdit does yet support in order to register a new type. Your points around media management in banner components are absolutely valid. We consider in a longer term two improvements for existing components: adding search for media in the library should be available in both components, and combining the functionality of simple banner and simple responsive banner in one component, allowing content manager decide to have one image or responsive set of images. Your assessment support of permissions is very accurate, SmartEdit supports only catalog version level permissions. However, in the upcoming release 1811 we will support fine-grained permissions to be defined on page and component type, and well as sync and attribute level OOTB. In our upcoming release 1811, we will streamline and simplify navigation management flow. We will also address the gap of not being able to create or edit a CMSLink component while building navigation. Ability to synchronize the navigation tree is on the roadmap, but not in our short-term plans. SmartEdit currently uses the CKEditor. However, the implementation partner is flexible to replace it with any other WYSIWYG Rich text editor, if needed. This is an extensible feature. However, we plan to address the issues pointed out with an existing editor in one of the upcoming releases. The bottom line is SmartEdit is reaching its maturity and we are working hard on offering a fully-fledged cms feature set that will enable a business user to create great looking sites. There are a few areas of improvements that we have on our radar and have a feasible plan to mitigate. In our opinion, SmartEdit is quite ready to support cms day to day activities related to content management. Hi Rauf, very useful article, thanks! Just a note ,as I remember, WCMS cockpit does allow to clone(copy) components and rearrange them in the slot. Thanks! Thanks Rauf for taking your time and explaining us a lot of different features that are very important to know for better understanding of hybris based projects! Keep it up! Very good overview Rauf. We are heavily using Smartedit in our deployment (no WCMS) and we are facing many of these painful shortcomings. I would say, on the more painful side, are the media management and the navigation management. We had to implement our own segmentation to make personalization useful. The most painful is by far the customization complexity, with the need to involve AngularJS and Java devs for almost anything. But it is still more customizable than WCMS. We like it or not, this is the future of the Hybris CMS and articles like this help a lot to keep the expectations reasonable (it is not rosy and out of the box as presented many times…). All the best from Cluj! Hi Rauf, thanks for a good walkthrough. Thank you Rauf for a very insightful review of SmartEdit, we appreciate the interest to our product and the feedback. It gives us a good prospective of what is important for our customers and partners. Some of the functionalities like create new catalogs, will not be implemented in SmartEdit, because they are more administrative tasks by nature and are expected to be managed in Backoffice. Further I will mainly focus on potential gaps that SmartEdit has and our plans to improve them. One of the known pain points for our customers is the Pages View management, due to the limited capabilities of page management. In one of the upcoming releases we plan to improve this view and enable Smartedit users to search, filter, and sort pages using different page attributes and also improve how page relationship is displayed (between primary and variation pages). Page templates are currently static in both WCMS and SmartEdit, they can be managed/edited in Backoffice. Converting shared slot to non-shared slots allows some flexibility around page layout management and it is available in both WCMS and SmartEdit, but does not allow to define page layout on the fly. We plan on enabling Content Manager to support dynamic page layouts that can be changed at a runtime in the near future with our new PWA storefront. Content Manager will be able to decide how the page slot would look like and how many components it could display. We also consider adding SEO attributes to page types available out of the box. However extending a page type with custom attributes should be fairly easy using 6.4 or later version, where cms items (like page) were supported genericly. Your points around media management in banner components are absolutely valid. We consider in a longer term two improvements for existing components: adding search for media in library should be available in both components, and combining functionality of simple banner and simple responsive banner in one component, allowing content manager decide to have one image or responsive set of images. Your assessment support of permissions is very accurate, SmartEdit supports only catalog version level permissions. However, in the upcoming release 1811 we will support fine grained permissions to be defined on page and component type, and well as sync and attribute level OOTB. In our upcoming release 1811 we will streamline and simplify navigation management flow. We will also address the gap of not being able to create or edit a CMSLink component while building navigation. Ability to synchronize the navigation tree is on the roadmap, but not in our short term plans. SmartEdit currently uses the CKEditor. However, implementation partner is flexible to replace it with any other WYSIWYG Rich text editor, if needed. This is an extensible feature. However, we plan to address the issues pointed out with an existing editor in one of the upcoming releases. The bottom line is SmartEdit is reaching its maturity and we are working hard on offering a fully-fledged cms feature set that will enable a business user to create great looking sites. There are a few areas of improvements that we have on our radar and have a feasible plans to mitigate. In our opinion, SmartEdit is quite ready to support cms day to day activities related to content management.